Photograph depicts CP rail interchange yards about 1/2 mile west of the city center of New Westminster. 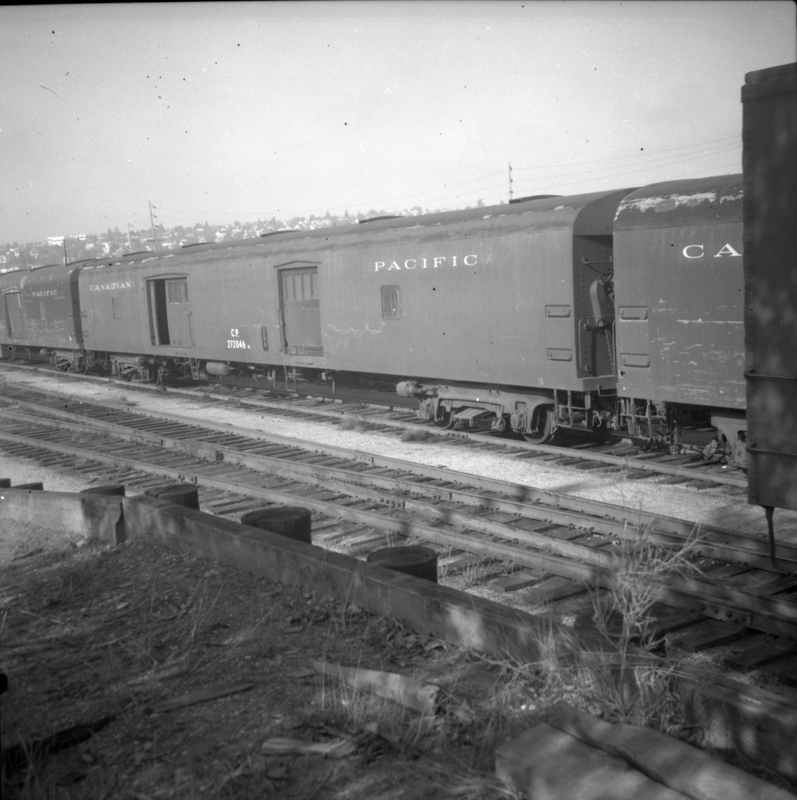 In the view is CP baggage car #272046 made by the Canadian Car Co. It is now in use as a horse box with end loading.